How Big Should A Photo Be? 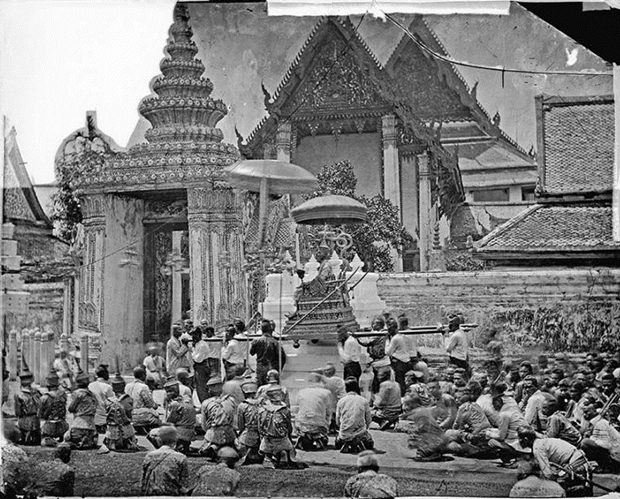 First up was Siam Through The Lens Of John Thomson* at Leicester’s New Walk Gallery. John Thomson was a Scottish photographer who travelled and photographed widely in the Far East and China before returning to this country to document the social condition of the urban poor. His work is often cited as early photojournalism. His images of China and the Far East have been digitised and enlarged and are now a travelling exhibition. In Leicester only the photos from Siam and a few from Cambodia were on show – about 45 in all. Thomson used the wet collodion process to produce his photographs and these gave glass negatives which were eight inches by ten inches. They would then be contact printed (ie not enlarged) and in his time were mainly reproduced in books with prose descriptions of his travels. So he was producing book-size prints. I hopped off the return train to Manchester at Sheffield to catch the Martin Jenkinson exhibition ”Who We Are” at Weston Park Museum in Sheffield. Martin Jenkinson was a Sheffield-based press and trade union photographer whose subject was daily life in the city and around but who also recorded the politics of protest towards the end of the twentieth century. There were ninety or so mostly black and white images around A4 size classically mounted and then framed in black. They are a bit of a walk down memory lane for someone of my age and I found myself particularly drawn to the quieter images (such as the newspaper seller to the right) which seem to draw out the grandeur of the local and specific when the political action has moved on. There were also plenty of objects from the photographer’s life: seventy-odd press passes, teeshirts, contact sheets, notebooks, protest badges and so on. It all helps to bring out the person behind the images. But I did find myself peering a bit at the photographs. They needed to be, well, a bit bigger, I thought. Or as Glenda might say: “Small photos, eh? Don’t ya just hate’em?” The best known one, of the miner inspecting police lines during the pit strike of the eighties, was printed more like A2 size and came off a lot better for it. The smaller print has its place but possibly not in modern photojournalism exhibitions. All in all, though, it was A Grand Day Out: Spring in the air and plenty of sunshine; a fine train journey across the Peak District; two fine exhibitions; and a jolly good picnic in the park. Does life have more to offer? When I was a young chap and had pretensions to elegance I one day bought myself a very fine suit. It had half-lined trousers which I always thought was a mark of distinction. Though I say it myself, it drew admiring glances and comments and so, when I went to live in Afghanistan in the late 1970s I took it with me. A funny thing about Kabul in those days, perhaps even now, I don’t know, was that you could buy Harris Tweed and other very good cloths there. They seemed to be roll ends that had been sent for clearance. So what you did was to buy a length of your cloth of choice and then take it to one of the tailors in town. You gave them a jacket and/or trousers to copy – which they did, by hand, to the millimetre. The chap in the photo here was recommended to me and I started off with a sports jacket - which he made beautifully. Most of the sewing was done by young boys who sat cross-legged on a platform to one side of the shop (though I always assumed they must have some kind of a sewing machine somewhere). So then I decided to get a couple of suits made using my very fine one as a template. I delivered suit and cloth to him one morning, he took some brief measurements (which he marked down in the book there) and told me to come back in a couple of weeks for a fitting. This is where international history intervened. 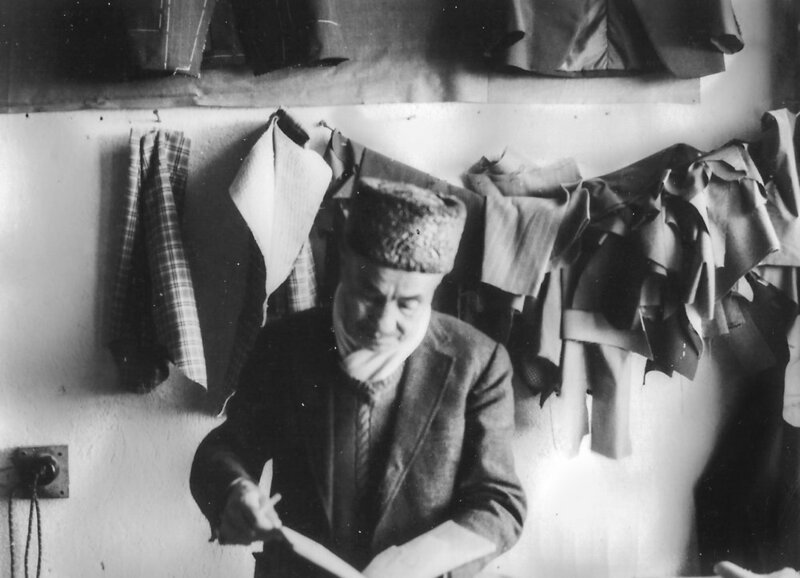 A few days after my visit to the tailor the Soviet Union occupied Afghanistan. The sky was dark with Soviet transport planes, the Afghan army was neutralised and Soviet troops appeared on the streets of Kabul. When I went back to for my fitting there was a Soviet tank backed right up to the frontage of the tailor’s shop. Both the tailor’s and all the other shops were shut and the street was deserted. Calamity! Not only had I lost my cloth – I had also lost my finest suit. I trailed home, despondent at this tragic turn. The Afghans, I had learnt through my reading, are no strangers to invasions, from the armies of Alexander the Great, to the Moghuls and the British. The country has been incorporated into various empires and has been and remains the home of numerous peoples. All of this must give a certain perspective on life from which I should perhaps have learnt a lesson. He shrugged his shoulders. “I took a rest” he said with a smile. Just how creative is photography? The consensus these days seems to be that the battle for photography’s status is won. There it is hanging on the walls of major museums and art galleries – end of discussion. But that ignores the distinction so commonly made between ‘art as photography’ (which is what artists do) and photography as art (which is what photographers do). The clear suggestion is that one is more creative than the other. It also omits all the other photographies: scientific, technical, medical, forensic, family, evidential, social and so on. I thought a more interesting way of looking at it was to turn the telescope round and point it not at photography but at creativity. To do that I read two autobiographies by people who might generally be considered creative: Philip Glass’s ‘Words Without Music’ (Faber and Faber, 2015); and Patti Smith’s ‘Just Kids’ (Bloomsbury 2012). I read them because they came floating up to me from the shelves of my local secondhand bookshop. So – pretty random, which is the best way. My question was: do these creative people see life any differently from anyone else? Philip Glass seems to have come straight out of the stalls, looking neither to right nor to left but with one goal only: to write music. He did whatever it took to survive financially: removal work, taxi-driving (which one time nearly cost him his life), plumbing and house maintenance. He brought up a family and he kept a roof over their heads but he only started to earn money from the music when he was in his forties. On the way he took care to cultivate good artistic company, to develop his technical skills, to work at composition every day and – it seems, to enjoy it as he went along. The self-belief seems to have been unshakeable right from the start. 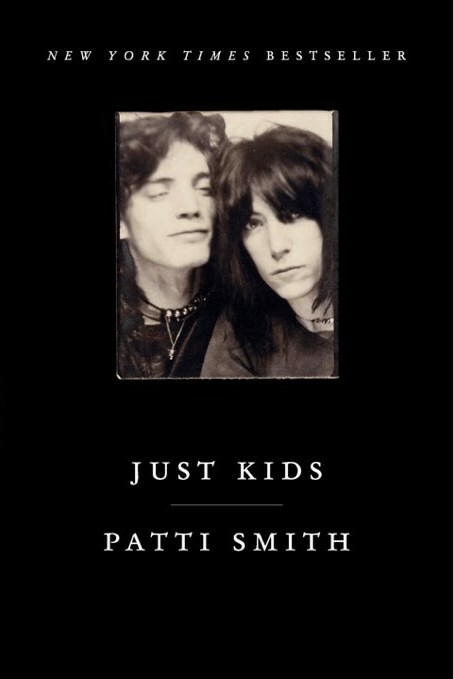 Patti Smith, from a later generation, tried a few things: poetry, a bit of acting, drawing and then rock and roll. To her, artistic practice was mystical and the practitioners were mystics. She was determined to become An Artist, and that is what she did – almost by sheer force of will. She seems not to have had Philip Glass’s self-belief but she was practical, held down jobs and kept going. While her friend and lover, Robert Mapplethorpe, seemed to climb to the top, she floated. Contacts were essential- but then, when aren’t they? What the two of them seem to have in common is practicality. They kept producing work, they were ready when the chance came, they kept the wolf from the door, they moved in the right company and they would not be deflected. Both of them seem in thrall to the idea that Artists are Different, that they are a kind of nobility, that to be an artist is “to see what others cannot” as Patti Smith puts it. Hmmmm…yes, well. Nearer the mark, perhaps, is the idea that Philip Glass cites from Krishnamurti, that creativity is not so much a characteristic as a moment, a kind of unrepeatable spontaneity. That is what both he and Patti Smith exhibit. They never seem to quite know what is coming next but have great confidence that something will come. That’s an idea which transfers well to photography. When I peer through the viewfinder I like to think that I am in the same position as the sculptor wrestling with form, the poet with words and the musician with sound. But creativity is not the unique preserve of the fine arts. I am also in the same position as the mechanic grappling with spanners, the cakemaker with recipes and the mathematician with numbers. Creativity is a world where thought is momentarily suspended and memory no longer functions. That, presumably, is why time passes so quickly. “How do you know” she asks. It came from nowhere, as these things do. You can’t predict them and you can’t repeat them. All you can do is to make your preparations and then be open to them - whatever the activity and whatever its status. For photography, you have to think about the photograph you are taking, of course, but if you are still thinking about it when you snap the shutter then you may get something technically good - but not much more than that. Take a look at the photograph opposite and assess what you see. If you’ve been reading the newspapers in the past few days you may recognise it – so you can’t play in this game. It looks like a fairly standard, relaxed kind of photo of a middle-aged man with a thoughtful expression on his face. It’s taken under some kind of lighting and there is no background. The top of his head is cropped away - but not much to say beyond that. Well, the photo is © the Metropolitan Police so that’s a huge clue. It’s a mugshot of the final suspect in the 2015 Hatton Garden jewellery raid. 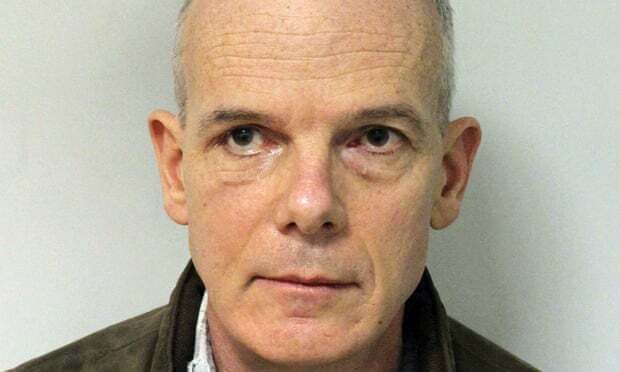 This is Michael Seed (aka Basil – the Best Alarm Specialist In London) who was sentenced to 10 years in jail last week for his part in the robbery. The perpetrators were so old and used such traditional techniques – drilling and alarm disconnection - that they were known as the Diamond Wheezers. Yet this is a very unusual mugshot. Partly it’s the subject’s demeanour: he doesn’t look like someone who has just had his door flattened in a police raid or who has just suffered the indignities of arrest. He looks pretty composed. It’s also the format of the photo. The mugshot is conventionally square or portrait format. It is cropped close and the subject is often looking tough or shocked or dishevelled. By its nature it criminalises - which is why juries are often not allowed to see it. But not Basil’s: his looks more like a social worker’s identity badge. He isn’t even looking straight at the camera – he is looking up to the left. It is possible, of course, that the newspapers cropped it into this format rather than the police but the expression and lighting remain the same. A couple of years ago I looked pretty closely at the use of digital photography as legal evidence and found that that legal systems generally are struggling to get to grips with the whole range of digital images: still, moving, CGI and so on. That is largely because the law is an overwhelmingly verbal practice and few lawyers are sufficiently literate visually to understand the significance of the digital image and to grasp its rhetorical potential. 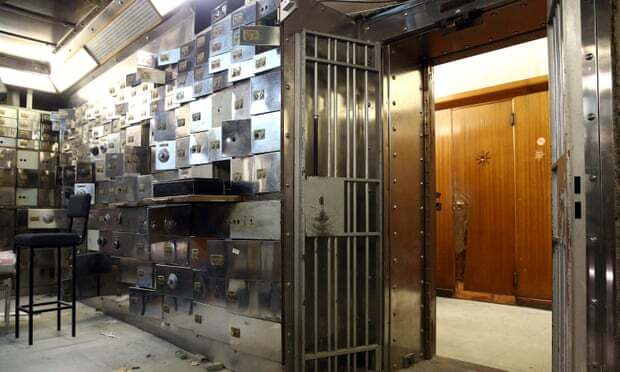 Look at this press shot of the scene of the Hatton Garden crime, for example. Look at the digital sheen it has. It has entirely abandoned the conventions of forensic photography where objectivity and neutrality take precedence. The source of the photo is given as Alamy/Getty Images. That too strikes me as odd. Traditionally, the provenance of crime scene photographs has been the state because the agents of the state (the police and prosecution) were the ones with access to that scene. Yet Alamy and Getty Images are commercial organisations. The crime scene photo now seems to be a commercial tool rather than an evidential one. The unconventional mugshot of Basil is not the result of digital technology in any direct sense but it shows the ease with which digitality can subvert convention. A digital image is easily and infinitely malleable while an analogue one is not. So digital starts off by mimicking a convention and ends up by creating a new one. Ironic, then, that Basil’s mugshot should emerge from such a spectacularly analogue crime. And so to the darkrooms of the University of Salford, (as promised in my Happy New Year post in January) for a two day course in the basics of darkroom developing and printing. Having gone back to film over the last 18 months or so I thought this was a natural progression: I hadn’t been able to see a way forward with digital and this looked like it might be a fruitful route. After a happy and absorbing twelve or so hours a number of thoughts occur to me. 1. This is an entirely different process from that of producing digital images. (Cries of “duh!” – but stay with me.) It is so different that the suspicion I have had in my head for some time now – that they cannot both reasonably be called photography – is hardening into certainty. Older photographers may have consigned their enlargers and printing trays to some dusty corner of the loft with relief but for every advance there is a retreat somewhere and sometimes you don’t notice until it is too late. That’s not to suggest that one process is superior to the other: just that they are very different. This is A Big Subject and you have my promise that I will develop it dazzingly in a forthcoming blogpost. 2. The mere process of producing a negative, contact prints, several test strips and a full-size print or two brings about a familiarity with a photograph which a memory card and software program simply don’t. By the end of the darkroom process you are not looking at the photograph you thought you were looking at when you started. 3. You probably can’t (well, so far, I can’t anyway) distinguish a darkroom hardcopy print from a digital one. I went to see a Lartigue exhibition a year or two ago and some of the prints were modern darkroom-produced from his own negatives; and others were produced from the same negatives but through scanning and digital printing. I saw no difference and the young man overseeing the exhibition said he couldn’t either (notwithstanding the fact that the digital ones were very significantly cheaper). That’s a bit of a disappointment because I thought I would be tapping into a rich vein of print aesthetics from day one. I still have hopes, however. 4. Darkroom printing is one of those activities in which time simply comes to a halt because you become so absorbed. (The darkness seems to contribute to this effect. Space takes on a different quality.) This puts it on a level with only two other practices in my life; motorcycle mechanics and writing. Since I gave up the former a couple of years ago I maybe do have a little capacity now for further escape from the time/space continuum. 5. You don’t actually need much space for the activities in the dark bit. You do need significant kit though: enlarger, trays, chemicals and so on. You can pick it up on ebay at no great cost but the practicalities of preparing the chemical solutions, storing them, watching their sell-by dates and using them at set temperatures and so on makes me wary. The obvious solution is to pay to use a darkroom where all of that is set up for you. Even then, I suspect that the highs are higher and the lows are lower than the digital process. That makes it look addictive to me – and like all addictions, first somewhere inside you have to want to become addicted. P.S. These two appreciating classics are my first darkroom printed images. On-screen two things are immediately apparent. First is that the backlighting of the screen lifts the highlights a little - so, for example, the chap’s head here has lost the highlight detail - in fact it has blown it -compared to the print in my hand. The other is that the overall tone has changed to create a harder, brighter image in both cases. Would you invite Martin Parr to photograph your wedding? No, nor would I. So why invite him to photograph your city? Manchester Art Gallery’s reasoning seems to have been that he has done several photoseries on Manchester since his days as a student at the city’s polytechnic and it was about time for another. 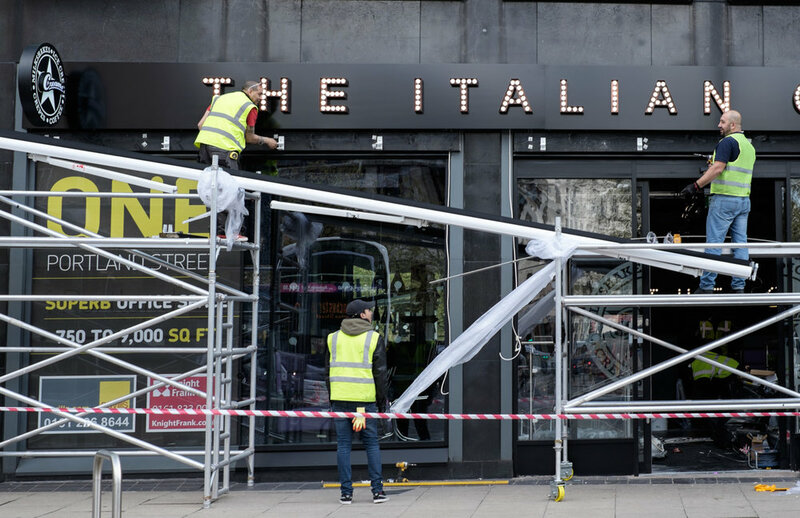 That’s doubtless interesting for Mancunians – but is it interesting for anyone else? Perhaps to forestall that question there are copies of appreciative press reviews at the door of the exhibition. He’s a controversial photographer so it’s almost as if the gallery were trying to get its retaliation in first. And it’s true, there is plenty of interest here – though perhaps not always in the way that the gallery intended. The exhibition is arranged chronologically from Parr’s early black and white mounted and framed prints through to apparently randomly assorted sizes of 1980s colour film prints up to about 4 feet by 5 feet (judged by eye). All of these are in one room and then the next space has the 2018 digital prints again from the very large to smaller than A4, unframed unmounted and pinned to the wall. There are about 450 in all – so a minute’s study of each would have you in there for nearly 8 hours. In concept then the exhibition is definitely a game of two halves as the photographs above and below show. The work from the 20th century is social documentary. There is a series on Yates’ Wine Lodges, on The Osmonds fans, a very humane one on Prestwich Mental Hospital, one about a street about to be demolished, and a bit of an iffy one on the weather. All those are black and white and are all good examples of Parr’s ability to choose an apparently mundane subject and get under its skin. In the 1980s he turned to colour and you can see his signature style emerging in a series he was commissioned to do about retail activities in Salford, Point Of Sale. Some see that style as wry, witty and observant and others see it as mocking, class-based and voyeuristic. But so far, so interesting. When we move into the rooms dedicated to the Manchester 2018 part of the exhibition things change. The photographer roved endlessly over Greater Manchester this summer, taking thousands of photographs in about 20 days. In the face of this deluge the curators seem – understandably - to have struggled. There are around 300 images chosen for display and some 240 of those are in a giant grid on two walls. It is difficult to get a good view of many of these because they are so high up or low down. It is almost as though the decision was taken simply to impress with the sheer quantity of imagery rather than its quality. 21st birthday party at the Royal Nawaab restaurant, Levenshulme, Manchester, 2018. The result is photographic only in the technical sense: it’s more a digital carpet bombing of the city; or perhaps a replaying of the Borges short story On Exactitude In Science where cartographers made a map the same size as the territory itself depicted. After all, if my maths is right, the full 10,000 images printed at A3 would cover about 1.25 square kilometres – which is a sizeable part of central Manchester. In contrast, I recently went to a retrospective exhibition of quite a well-known press photographer. He had worked for 50 years and that lifetime of images had been edited down to 97 photographs. Here we have 300 from just a few weeks. That is doubtless interesting for Mancunians wanting to spot faces and places but, unlike the older images, it does not really qualify as social documentary. A documentarian uses distillation to produce a rounded picture of their subject. In the age of digital reproduction that judicious process gives way to a stream of images in danger of bursting its banks. More striking, perhaps, is what does not appear. Modern Manchester, on the evidence of this exhibition, functions without any public services. I looked hard but failed to find any images of: the NHS, ambulance crews, police, fire and rescue, refuse collection or disposal, public transport, classrooms, libraries or museums. Maybe they were left on the cutting-room floor; maybe they were never taken. Either way, it’s important. We all know the daily reality now – but in 50 years’ time these photos will be historical evidence. All of these snapshots show a city that may have changed on the surface but remains much the same underneath. There are yoga sessions and sporting events, textile workshops and barbers’ shops, street parties and Irish festivals. Either you take to the snapshot style or you don’t. It’s not really an art which hides an art and so perhaps it is better seen as anthropology with a camera, a kind of one-man Mass Observation for the 21st century. A more authentically modern exercise have might have been to ask Mancunians to take their own photos and then to have displayed those. Would that not have reflected more accurately the true developments in photography over the last twenty years or so? The results would surely have reproduced Martin Parr’s off-the-cuff style well, after all, and virtually any photograph will have an impact if it is blown up to double or treble poster size and pinned to a gallery wall. Why not let the people speak on the walls of their own city’s gallery? In the round, the exhibition seems to be part of the repackaging of Manchester. Out with the black and white Yates’ Wine Lodges and mullets and in with Graphene and Salford Quays. In that sense, the photographs are part of the very process that they purport to portray. Ostensibly, they show a city confident enough to turn a famously candid photographer’s camera on itself and no holds barred. Yet the result is oddly fudged – not affectionate but not acid either- maybe because the sharp edge that Parr has displayed elsewhere would not have worked here. A day or two after I visited the exhibition a nagging connection surfaced more clearly in my brain and I realised that these images put me in mind of Donald McGill’s saucy seaside postcards: more cartoon, then, than portrait. (Martin Parr: Return To Manchester at Manchester Art Gallery until 22 April. HOW MANY PAGES MAKE A LIFE? At a guess, I’d say that most people know of Berenice Abbott either from her documentation of the changing face of New York or from her connection to the archive of Eugene Atget, the Parisian “Balzac of the camera”. The basic facts of her life are simple enough. She came from nowhere, creatively speaking, to a perhaps lucky gig as Man Ray’s studio assistant and from there to her own portrait photography practice in 1920s Paris. She went back to the US before WW2 and set out to photograph the changing face of New York. From there in the 1950s she moved on to scientific photography. She was technically skilled and innovative but her big problem was that she had a genius for putting people’s backs up. Too many movers and shakers clearly saw her as humourless and difficult. Her persistence eventually paid off however and she began to earn serious money from her back catalogue from the 1970s onwards. Stylistically speaking she moved away from the early influence of the surrealists to a straight, naturalistic photography. 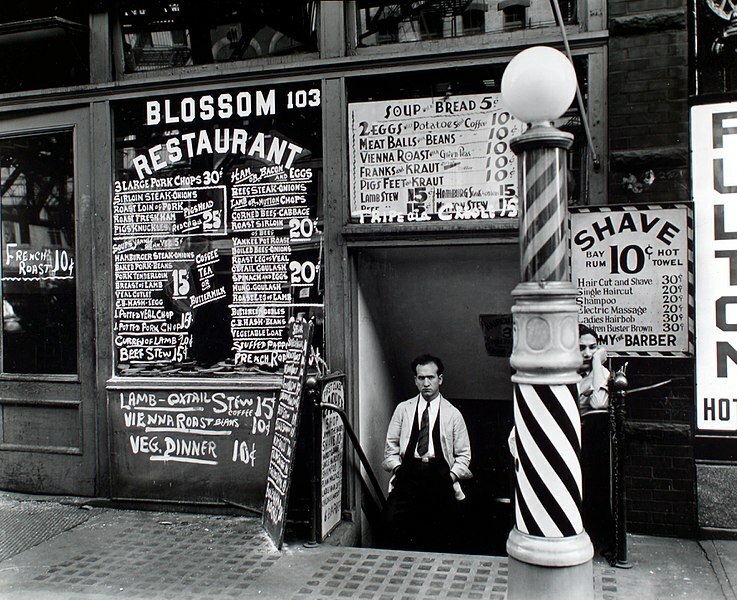 Blossom Restaurant, 103, Bowery, Manhatten, 1935. Berenice Abbott. The one photo that always popped into my mind when her name came up would have been this one , Blossom Restaurant, 103 Bowery, Manhattan. The chap coming out was a piece of serendipity apparently but to me the most interesting thing is the enormous range of dishes set out on the menu in the restaurant window: did they do all of those every day, I wonder? It gives you an idea of the superb detail she caught with her large format camera in so many of the images. You won’t find out the answer to that menu question in Julia Van Haaften’s recent biography, Berenice Abbott: A Life In Photography (W.W. Norton and Co. 2018) but it is possibly one of the few details missing from this monumental book. As a work of research it is pretty astounding. Want to know what Berenice ate for lunch on 29th November 1928? It’s in here at page 129. The company she kept in Paris in the 1920s is assiduously recorded and you get sentences like this: “McAlmon enjoyed substantial financial freedom from his six-year marriage to Winifred Ellerman, called Bryher, the British shipbuilding heiress and lover of the poet H.D. – Hilda Doolittle, whose former partner had been the poet Ezra Pound.” Got that? It’s a sort of third-person diary so there is ample to fascinate the devoted B.A. fan. For the undecided, (e.g. me) it was a harder read because there is no real assessment of events, no glance at the horizon from time to time. Was she wasting time with the Atget archive and inviting critics to see her as in thrall to him? And why did she sell a half share in the archive to gallery owner Julian Levy for $1000 when she had paid $10,000 for the whole thing only a few years previously? At times she seems to have had little money but more than once there is reference to her fine clothes and to her cars. It doesn’t seem to stack up. The bigger picture disappears in the detail. As for the photography – hmmmm…… There are some pretty impressive photos, no doubt about it, as you would expect in a body of work spanning half a century or so. As a straight photographic record of people and place it’s hugely interesting and some of her photos seem now to create 1930s New York as much as recording it. I don’t think photography can go beyond that: it isn’t transcendental after all. The work is one thing but the life is another. I’m not sure the life itself justifies 500 pages but this is bound to be the definitive biography for a good long while. You look at a photograph, you look at a photograph. Unless the photographer is deliberately messing with your head, what’s in the photo is usually pretty obvious, right? Not so fast! Allan Sekula had an interesting story about that. As he told it,* the anthropologist, Melville Herskovits, while carrying out research in Africa, once showed to a Bush woman a photograph of her son (presumably in black and white). The woman looked at it but saw no image there. He had to point out the details of the picture to her before she was able to make out the recognisable figure of her son. I’ve thought about that story many times. Sekula says that the photo is ‘unmarked as a message, is a non-message, until it is framed linguistically by the anthropologist’: the mother would, after all, have been completely unfamiliar with the practice of cramming three dimensions into two on a piece of card. The fact that the photo was in black and white must complicate matters a bit, too. So, even a standard photo is not part of some universal language: you have to learn to see what is in it. That isn’t the same as learning to interpret it: it means you have to learn to see that it is meant to replicate a little bit of the external world out there. Since, in the western world, we have been looking at photos for nearly 200 years now it’s second nature to us. But it’s good to remind ourselves that looking at a photo is as much a decoding as is looking at a page of text. Just as the word ‘dog’ is simply a random set of black marks on white paper that represents to Anglophones (who can read) a furry four-legged animal that barks, so a photograph is an otherwise random selection of forms that represents reality for those who know how to look. Here is one from my Are You Sure You Turned The Gas Off? series. See the face in it? Hint: it’s wearing glasses. Always makes me laugh, this one. I never could find space in the Working Hands exhibition for this one. It was one of the sheep-shearing series. The sheep looks like it’s more interested in me than losing its coat. I was at a photodiscussion a little while ago where a chap said that he always felt a bit depressed at the end of an exhibition of his work. If so, maybe there are ways to counter that. I am now the veteran of three exhibitions. In the first two – as part of a collective – I showed pictures from The Smart Panopticon. Then the most recent one was Working Hands at a local gallery. Disappointment tends to be the result of over-expectation so what you have to accept right from the start is that the wider world is going to remain largely unmoved by your show. You can drench social media if you like – and as my collective did for the first two. We produced postcards and pamphlets and posters and leaflets, too. We still have many in storage. For my solo one the gallery produced a poster for shop windows and so on – which was ample, I thought. None of the three cost me anything. The first two relied on Arts Council funding and at the latest one the gallery kindly paid for the prints. That is pretty rare these days by all accounts. Generally, though, the enthusiast exhibitor will end up out of pocket. Why do it, then? For me the two main advantages were that it is hugely interesting to go through the whole process – particularly with the help as I had most recently of a professional curator. Who does what, who decides what, how you put a press release together, how you go about hanging and so on. The second is that you see your photographs in a completely different way when they are hanging in that impersonal space for the public to see. Your darlings are on their own now! You learn a lot from that. You have to balance that against the costs of printing and mounting and any framing plus publicity, ancillary expenditure and your own time. You’ll also need somewhere to store all the prints when they come down. Even with professional support it takes a lot of effort and so it’s not for the faint of heart. It probably isn’t really a question of either exhibiting or doing nothing. These days there are several alternatives: you have photobooks, digital galleries, websites, innumerable competitions and calls for work. All of these, whatever their merits, present the opportunity for showing your work. But the gallery is the real world with real photos, of course and maybe therefore an important counterflow to the digital tide. I wouldn’t say I felt any anti-climax at the end of any of these exhibitions but certainly I had a clearer sense of my place in the photographic universe. That was actually pretty helpful – as a dose of reality usually is. MY LIFE OR MY ART? I nearly died taking this photograph. I had got to the point where I was using only a digital 35mm lens. All zooms had been abandoned and I was permitting myself only two focal lengths: 35mm and 60mm. Mostly it was the former. I saw these guys over the road. As we all know, you tend to see the world differently when you have a camera in your hands and maybe, on another day, I wouldn’t have looked twice at this. But the scaffolding provides a framework and the three figures were nicely spaced out. More and more these days I think that for a photograph to attract the eye and retain it for a moment or two it has to provide some sort of distillation. If all that the photograph contains is the commonplace then why photograph it in the first place? Doubtless the Atget and Walker Evans school enthusiasts would have an answer to that - perhaps that their photographs do distil reality in the way that a diary does, or collected letters (in the days that people used to write letters, that is). But I like to see something a bit more concentrated. So, I zoomed with my feet to what I thought was the safety of cross-hatching in centre of the road, and raised camera to eye. It just gave a nice frame. Now, look closely at the guy in the middle with the gloves coming out of his back pocket. Beyond him, reflected in the glass window is a bus. Are you with me? Just as I clicked the shutter there was a loud beep, the sound of rapid deceleration and I narrowly escaped photographing my own demise. That would have been more evaporation than distillation. Here’s another one I took on the same day from the safety of a street corner. In the distant past before AirBnB, when I used to visit London more regularly, I used an agency which organised bed and breakfast with the well-to-do who had fallen on hard times and had to make a crust by offering accommodation. So it was that I came to stay with a host who lived off Manchester Square. The arrangements for entry to this mansion block were on the clandestine side - I was forbidden to use the bell and had to arrive at a precise time. I soon found out why. I was ushered through the gloom of the entry hall by the shadowy figure of an old lady gesturing urgently from her flat doorway. She pulled me inside wordlessly and closed the door. “I’m not supposed to be doing this. It’s against the rules!” she hissed. I was intrigued and even more so when I when she led me into her living room. It was furnished in that mode of shabby chic which is the speciality of the bourgeoisie. The walls, however, were lined with works of art which were clearly not Athena poster reproductions. They looked seriously good. But it was the photograph over her fireplace that most caught my eye. It portrayed a man perhaps in his thirties, seated at a desk, pen in hand. The 1940s décor and accoutrements placed it in history, but what was most striking about this photo was the fact that its subject was dressed in Nazi military uniform. Was it the SS or the Wehrmacht? I can’t remember. We chatted over tea and biscuits. She must have been in her 80s, with what sounded like a mitteleuropean accent. Mostly she talked about the lease on her flat which was coming to an end. She was furious that it was not to be renewed and had hatched a cunning plan to frustrate her landlord – a plan which, if I followed its many twists and turns correctly, involved her own death. This account took many detours from which I deduced that she was a member of some kind of Carpathian noble family who had fled their estate on the communist takeover after the war. She had obviously clocked my interest in her art and launched into the story of how she had managed to get it out of – was it Rumania or Yugoslavia somewhere? She had been blocked by the authorities at every turn. “Well, what would you have done?” she asked triumphantly at one point. I tried to look like a man who would have had several solutions to the problem. But she pressed on regardless. Of course. She had clearly had impeccable connections. I stayed listening as long as I thought polite before going out to eat. She was a wildly entertaining talker. When she let me out the following morning I had to leave as furtively as I had arrived. That photograph stuck in my mind but it was not until a year or two later that a newspaper obituary caught my eye. The Countess so-and-so of somewhere. Bit by bit as I read I realised it was her. Much of what I had surmised turned out to be roughly correct. And she had indeed been a bit dotty in that aristocratic way. Apparently, if you were invited by her for dinner you always got exactly the same pasta meal which she went out and bought at Waitrose, microwaved and served up. Even better, that photo figured. Her husband had indeed been a high-ranking officer in German military intelligence. He had also been a British agent. That is how they got to the UK after the war. Nonetheless, to display the photograph on the fireplace was an act of some bravura. Your eye swivelled towards it the moment you entered the room. It was both distraction and focus. Now I wish I had grasped the nettle and asked her about it. Would she have told me that he had been a spy? Would I have believed her? These are murky waters after all. But is that not why we display family photographs: so that questions may be asked of us? If I had asked I can’t help thinking that I would have closed some kind of circuit: the photograph would have served its purpose. She would have launched unstoppably into another stream of history and I am sure I would have been fascinated. She was a charming old lady and the photograph was another way to charm her visitors. I really should have asked. Here is an interesting book. For £30 you get a handsome 266 hardback pages by the Programme Director of the MA in Contemporary Art at Sotheby’s Institute of Art. She was previously Head of the Photography Department at Sotheby’s auction house and therefore has much experience of the book’s subject – how the art market for photography functions. The book is divided into two sections. The first is aimed at potential collectors and deals with how to navigate the market for art photography. It starts off at worm’s eye level but soon enough rises to the aspirational. If you were thinking of starting off a photograph collection then it would be pretty essential reading. There is detailed advice on establishing authenticity, researching value, analysing auction reports, and recognising pitfalls. Some of this works on a pretty big scale. For example, there is what Dr Hacking describes as ‘rebranding an alternative investment portfolio as a curated collection.’ Here is what you do. You promote a Fund (that is, you interest both private individuals and institutions with the right kind of money) and go scouting for reliably valuable photographs, hoovering up whole collections along the way and attracting more investors as you go. With a wave of the wand, Investment Portfolio becomes Collection in its own right when you start persuading influential people to talk it up, you sponsor serious exhibitions in which it features, you promote academic conferences which highlight it and you even publish catalogues dedicated to your Collection. Having maximised your brand you then “bring it to the market” and if your timing and technique are right you should have generated such a frenzy that you will make many times what you have spent in putting the brand together. The author says that the knack for “successful monetisation” is to “conjure up aura”. It is Dr Hacking’s main theme that the market is crucial to the making of Art (as opposed to art) and the second half of the book addresses that theme: how photography (or some photography anyway) became Art and therefore became very valuable. Dr Hacking’s argument is that there has always been, from the very beginning of photographic history, a distinction drawn between Art-as-photography and photography-as-art. Few would argue with that. The former is what artists do and the latter is what photographers do. There is overlap and there are grey areas: for example, in Sotheby’s, Robert Mapplethorpe has been sold as an artist in London but as a photographer in New York. Traditionally the reverse has been more true, however: those who are big in photography may be unheard of in contemporary Art and vice versa. Dr Hacking’s survey of the market history of photography makes clear that until well into the second half of the twentieth century it was difficult to get any sort of a decent price for a photo. But as the value of older art went into the stratosphere, photography helped fill the market gap that was left. Between 1975 and 1991, for example, photography prices increased by some 680%. Then when contemporary art began to take off at the beginning of this century photography had to try and hang onto its coat-tails. By the 21st century six figures for a photograph was no longer exceptional but 99% of all sold photography still falls outside of the contemporary art market and therefore the really, really big prices. So, if there are these fairly simple economic arguments about supply and demand then how is it, we might ask, that the market can impute cultural value? Surely, the price paid is a result of that very cultural value and not a determinant of it? What enables an image to arc across the photography/Art electrodes is a complex institutional circuit, according to Dr Hacking, the wiring of which encompasses critics, dealers, writers, specialists and institutions. In essence, Art photography is whatever this coterie decides it to be – its nose being guided by artistic pedigrees, track records, market history and personal opinion. This does seem a curious argument. It must lead ineluctably to the conclusion that there is no intrinsic quality in the picture itself which makes it Art. Good, bad or indifferent – it makes no odds. It is simply the opinions and prices which trail in its wake. Taking the example of Andreas Gursky’s Rhin II – sold for over £3 million several years ago which was then a world record price for a photograph – you might well conclude that it is indeed a pretty mediocre image. But the rub is that everything points to its being a very safe investment vehicle. Like all circuits, the one described by this book might be seen as ending at its own starting point. What underpins it, that cultural value is determined by price and price is determined by cultural value, may well be true within the walls of the auction house, but it is not necessarily so outside them. It is also an argument which has an interesting parallel with banking until 2008: that was another world in which a group of people considered themselves to be too expert by half - and look where that ended. Towards the end of this book the author says that we should be asking not why Rhin II is so valuable but how it has come to be so. Indeed we should, because this Foucauldian question inevitably leads us onto the issue of discourse. Viewed from this angle we can see that the book is not so much a commentary on that discourse as part of the discourse itself. The first half is after all a scholarly explanation of how the market functions and the second half is a scholarly account of the history of art photography based on an examination of historical values. By its very nature it is an account for participants of all kinds and its advice will influence behaviour. Perhaps surprisingly, there is no comparison in the book between the photographic commodity market and any other enthusiast-based commodity market. For example, in the historic vehicle market (where Art is not in issue) prices in the last fifty years have also gone through the roof. If a graph of comparison showed significant similarities in its peaks and troughs with those of the photography market then we might well conclude that it was overall macro-economic factors that affected value as much as judgments about Art. Put bluntly, the quality of what is being bought doesn’t matter so long as the commodity can deliver a return. One of Lawrence of Arabia’s series of old Broughs, for example, is always going to maintain value even if that marque’s rear cylinder did overheat with monotonous regularity. The book is a good read. The prose is clear, the annotation copious and the author’s pedigree impeccable. If you want to be a collector you had better read it. Even if you don’t, its market-based view of photographic history is, I think, a first and, whether you agree with it or not, it is very interesting food for thought. Here’s a photo I took a while ago of the rooftops of Aarhus from the city’s Art Museum. The museum had installed a 360 degree walkway on its top floor conceived by the artist Olafur Eliasson which, as you can see, had colour gradations all the way around. Impressive! My wife and I were doing a house swap and so had the chance to get to know the city over a couple of weeks. It’s my ideal kind of city: big enough to be interesting but not so big that you drown. The photo was a contender for my series The Smart Panopticon but in the end I decided that it didn’t fit visually. It was taken with a little digital point and shoot which I eventually decided to get rid of because it was just too seductive: massive zoom, great image quality, slipped into the pocket - everything was just too easy. These devices flatter to deceive. They convince you that you are such a good photographer so you never get any better. I decided to apply that to photography – though naturally enough I’m still working on the first half of the project. What I like about it is the idea that a photograph might not be the product of circumstances but rather more a state of mind. That state of mind depends on careful cultivation but cannot do without skilful means either. So with that general idea of working on myself photographically I have signed on for a few courses in 2019. First on the skilful means side is a darkroom course at Salford University where in a few weeks I should be able to get the basics of the dark art of wet printing. Second is a weekend course in March in making traditional cloth-bound hardback notebooks at Hot Bed Press. I am hoping to find a way of combining photograph and word which I can then put together through this kind of bookmaking. Then for the cultivation of the mind side I am taking an online course in modern western architecture – which means, apparently, from the Victorian period to the present day. I investigated this a bit in my photoseries The Smart Panopticon and now I am so intrigued by the whole subject that I feel I need to investigate it more deeply – not so much with the idea of gaining knowledge as with immersing myself in form, line, shape, light, space and solidity. That is all very photographic. Maybe the outcome of all this will be a home-made, self-printed photobook on modern architecture but that is not the plan. I don’t have a plan. Direction is good but goals are tyrants. I just want to see where this goes with that Buddhist insight in mind. Obviously, you are not making yourself perfect but you are working on yourself which is the important thing. You might think that the opposite was true: that black and white is a style applied to a world of colour. Don’t you see colour all around you after all? Yet when I get up each morning for my meditation session something curious happens. Here in northern Europe at around 6.30 am in winter it is dark. I settle into meditation and the world that I see through my half-open eyes is monochrome. My rudimentary understanding of the physiology of sight is that in low light levels the eye makes use of rod cells – which do not perceive colour, only black and white. The greyscale in between those two extremes is the rod cells’ version of colour, known as “ghosting in”. As the meditative minutes pass, the sun comes up and, even on a rainy day, light levels rise. Cone cells then come into play and replace the monochrome of the rod cells with colour. The same happens in reverse in the evening but artificial illumination masks it. For that reason it is much clearer in the countryside than urban areas. So we see in monochrome or colour depending on the amount of light available. The decline of black and white photography might be seen as coinciding with the increasing use of electric light. Since we are drenching the world in colour that is what we replicate photographically. In older buildings the subtlety of shadow has profound effects. In churches, castles, old houses, old farm buildings the eye seems often to revert to the monochrome world. Other senses are brought into play then. It is a more complete world because it does not rely on acute vision alone. Seen in this way, colour photography is not a technological advance producing a more accurate view of the world. It is a regime whose account of the world is a construction. Your saturation slider therefore has its Faustian aspect: you can have fun - but the price you pay is dazzling. Tanizaki’s lament for the shadows of his youth and Barthes’ insight into the nature of photography lead us inexorably to this conclusion. At least I think it’s a joke…. “From the age of six I have had a mania for sketching the form of things. From about the age of fifty I produced a number of designs, yet of all I drew prior to the age of seventy- there is truly nothing of any great note. At the age of seventy-three, I finally came to understand somewhat the true quality of birds, animals, insects, fishes - the vital nature of grasses and trees. Therefore, at eighty I shall gradually have made progress, at ninety I shall have penetrated even further the deep meaning of things, at one hundred I shall have become truly marvellous, and at one hundred and ten, each dot, each line shall surely possess a life of its own. I only beg that gentlemen of sufficiently long life take care to note the truth of my words.” Hokusai. I lived in France in the 1970s. The French way of life was a bit of a revelation to me, coming, as I did, from the coalpits and factories of northern England. The French were quite formal people, I found, in dress, culture and language. Relaxation too was formal: around a table, at a sporting event, even in conversation. Fast forward now and this past summer I found myself in Paris for a few days. One balmy evening I was walking along the banks of the Seine and came upon an informal Lindy Hop session. Maybe it was a regular event, I don’t know, but someone had rigged up speakers in the trees and about a hundred or so locals were jiving their way through the jazz standards. I was really struck: forty years ago this would have been a carefully choreographed event, with costumes, food, a band and spectator seating. Now it was just happening. I suppose that’s a good and inclusive thing but I did momentarily feel a slight shiver of nostalgia for the old days. Well, I had one frame left on my camera and no other film in my pocket. So I really did have to go for the decisive moment in this one snatched shot. You might expect an exhibition of press photographs from the second half of the twentieth century to have the subtitle: Here Today And Gone Tomorrow – because that is what most news photos are. They illustrate events which quickly disappear into history. Yet Denis Thorpe’s work is proving to have an unusual staying power (this exhibition itself following on from one at The Lowry in 2001). 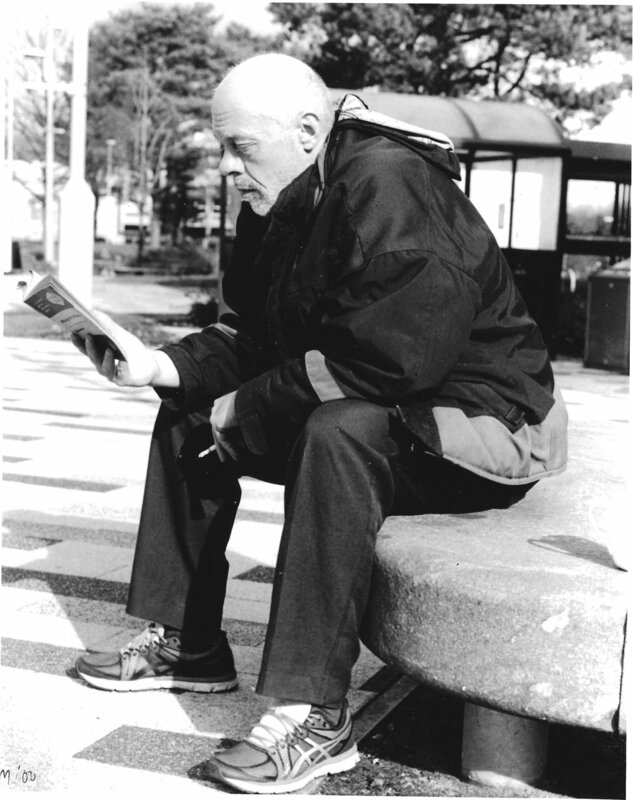 He worked on local newspapers before moving to the Daily Mail in 1957 and then the Guardian in 1974. He had been inspired in his career path by the photojournalists of the generation before his own – those who worked for Life, Picture Post and Vu. Maybe that gives a clue to the longevity of his work because they aren’t really images designed primarily to illustrate a news story. They tell a story in their own right, in the wordless way that photographs do. If we take the photograph above as an illustration, we see a timeless image of a young boy approaching what we might call a rite of passage consisting of a painful experience visited on him by well-meaning adults. This is the universal celebrated in the particular. 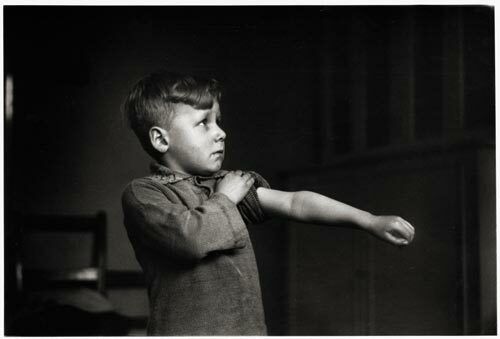 I can just recall my own diphtheria vaccination and the trepidation I felt just like this young man. The composition is the simplest imaginable – just the rectangle of the boy’s body, the circle of his head and the horizontal line of his arm. We might also these days be inclined to impose an NHS backstory on the photograph. In 1954 when it was taken the NHS was in its early days and its national significance was rightly celebrated in an image like this. And now? The simple truth illustrated by the picture, of the value of universal access to good healthcare, seems to have been lost. So it is hard to imagine a modern equivalent of this picture. Calling the exhibition “A View From The North” sells it a little bit short. Many of the photographs were taken in northern England but there are plenty from elsewhere: Spain, India, Japan, Egypt, Russia, the USA, and Belfast and other parts of the UK. What holds it together as an exhibition in my opinion is not so much the geography or northern culture as the style. The subject matter is unassuming and detail has been closely observed. There are haircuts, violin lessons, playground games, a great grandmother cradling her great granddaughter. These are events still today happening all the time, all around us. They are still points in a turning world. The turning world, it might be said, has moved on. We see simplicity as being the characteristic of a past age. I would be more inclined to say that it is a way of seeing which has largely slipped from our grasp. It is there for those who choose to retrieve it and photography is one way of doing that.